On the podcast this week is Jordan Ashley, founder and executive director of Souljourn Yoga Foundation, a 501(c)(3) non-profit organization inspired by seva, the Sanskrit word and yogic principle of selfless service. Jordan hosts yoga retreats around the globe including places like Nicaragua, Rwanda, and Cambodia just to name a few. 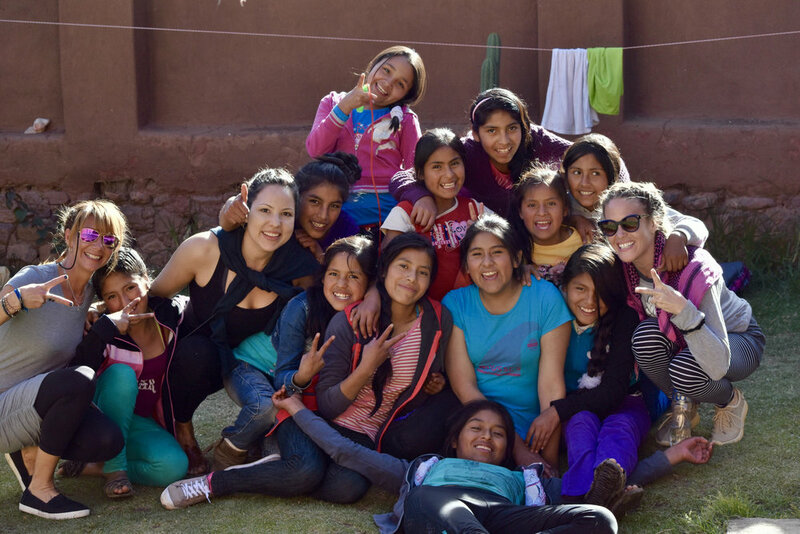 By hosting these retreats, she donates a generous percentage of sales to local and international charities to help fund girls' education in developing countries. So far, over $33,000 have been raised, and that number will only continue to grow, as she has tons of retreats planned for 2019. In this week’s episode we chat all about the inspiration behind Souljourn Yoga, its mission and impact, and creating an experience of togetherness through the practice of yoga, and Jordan shares why she’s dedicated to raising awareness for girl’s education and empowering women in developing countries. Plus, we chat about redefining the practice of yoga and the role yoga has played in Jordan’s healing and spiritual journey. Seva - what it is, and how we can incorporate it into our lives, joy in her life, and so much more! The difference Jordan is making with her mission and non-profit is wonderful, and I can’t wait for you guys to hear this week’s new episode! Make sure to join the conversation on Instagram, Facebook and Twitter! Jordan first had a taste of global seva when she completed two study abroad programs. The first in Siem Reap, Cambodia where she taught English and women's self empowerment through the Ponheary Ly Foundation. The other in Dharamsala, India where Jordan lived with a Tibetan family and studied the community in diaspora. Between completing her 200 and 300 hour yoga teacher training in New York, Jordan uprooted to Southeast Asia where she was a reporter for the Phnom Penh Post, focusing on NGO coverage as well as a lifestyle journalist in Bangkok, Thailand. Jordan has collected passport stamps in more than 30 countries including India, Nepal, Thailand, South Africa, Cambodia, and Vietnam. By teaming up with yoga teachers from around the world, Souljourn Yoga is dedicated to raising global compassion and peace. Drawing on her experience of travel and being a full time yoga teacher, she created Souljourn Yoga as an avenue for the practitioner who wants more than just "down dog" and to expand the need for equal education across the globe. Souljourn Yoga takes the yoga practice both on and off the mat to expose, challenge, and reflect on the personal and global journey to inspire change. Souljourn Yoga Retreats - what are they all about?! As a group, you have the opportunity to visit one of the “sister” non-profit organizations that they work with - and a portion of each retreat participants retreat fee goes directly to each non-profit. In a beautiful (and successful) attempt to build the bridge between those donating and those receiving the donation, they spend 1-2 days meeting the girls, practicing yoga with them, and engaging them (and their retreat participants) in yogic activities and art projects. For every participant on their retreats, $300-$500 of the total amount of the cost of the retreat is donated directly to each "sister" non-profit, and their continuous goal is to match every $300-$500 donation. Their goal is to help build a generation of educated and empowered young women across the globe. I really enjoyed connecting with Jordan and learning about her passion for the power of giving, the importance of seva and leading with service, redefining the practice of yoga, and so much more! To connect with Jordan and journey with her and Souljourn Yoga for a soul-filling, impact-making adventure of a lifetime check out their website www.souljournyoga.com and on Instagram @souljournyoga and Facebook @souljournyogafoundation. Plus check out a list of upcoming 2019 Souljourn Yoga retreats, including their next visit to Rwanda! RATE & REVIEW: Ratings and reviews help Seek The Joy get seen by new people, and I'm so grateful to each and every one of you who has rated the podcast! THE POWER OF STORYTELLING: The next episode in our series, The Power of Storytelling, airs on May 21st! We want you to be part of it! To learn more and to submit your story, visit the Share Your Story section of our website. Fill out our interest form - and we'll get back to you ASAP.